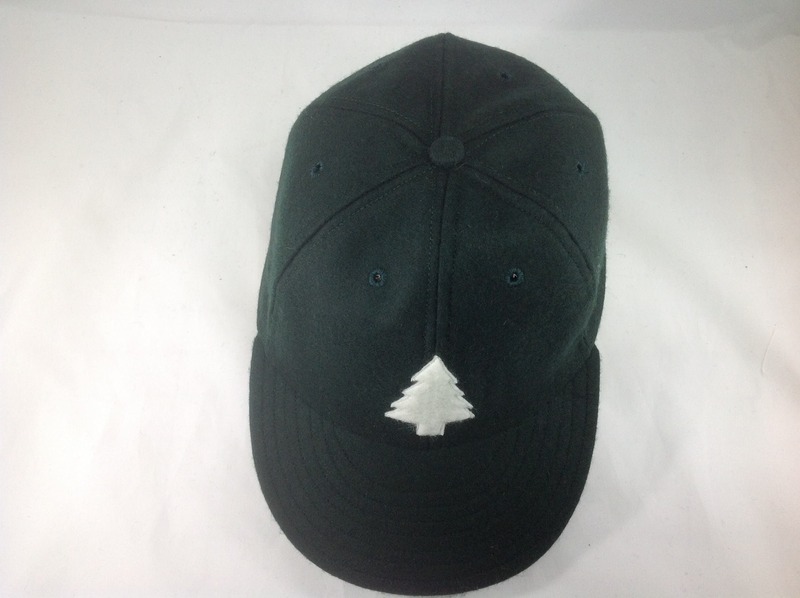 Felt Pine tree logo on wool flannel cap. Chose cap color and size at checkout! Hand crafted to order. For the outdoors enthusiast or nature lover! 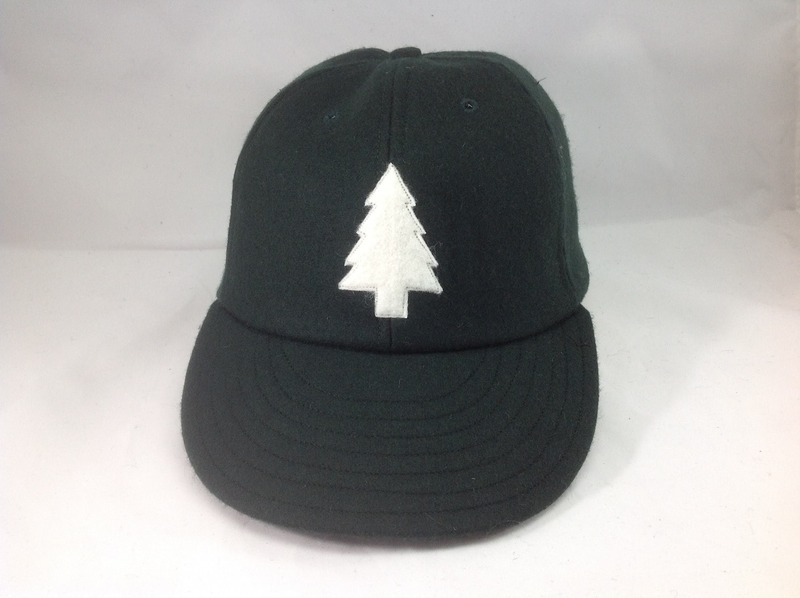 This felt pine tree stitched onto your custom made wool flannel 6 panel cap is sure to project that love. 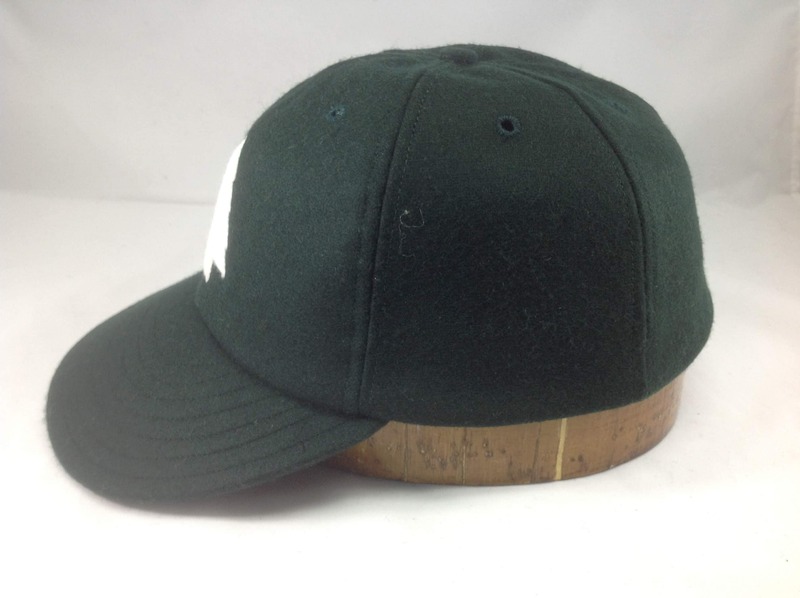 The six panel baseball cap is one of the most popular styles worn today. 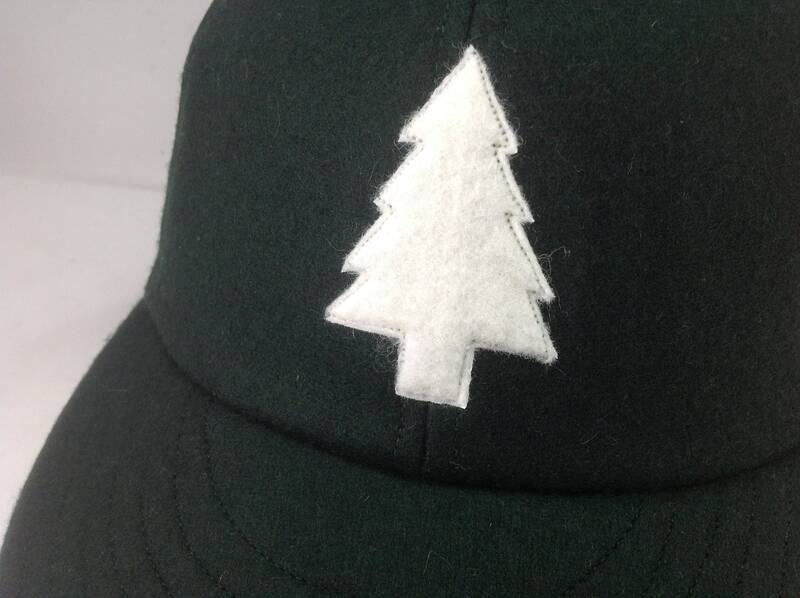 Keeping true to tradition, this cap is handcrafted using top-notch materials and workmanship. The front stiffener is supple and comfortable. The 2.5" visor can be worn flat or curved and the classic styling make this cap a perfect companion to your wardrobe. 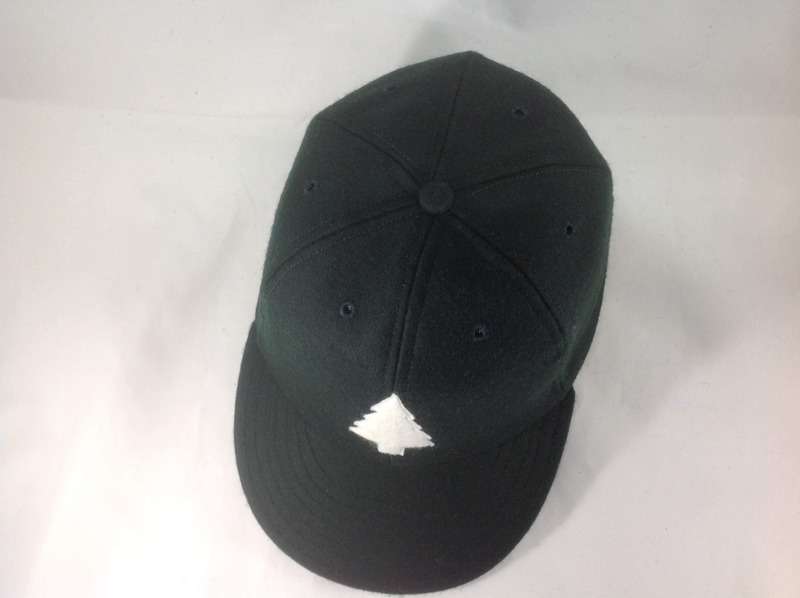 The hat itself is made with 100% wool crown and brushed cotton twill soft sweatband.